QE-BCE: forse sì forse no…ma comunque…Mission Accomplished! Lo “Spadone Excalibur” da 1000mld di QE Europeo: 80 mld al mese vs.
non stampa una cippa (o quasi)…………. Ireland sells EUR 1bln 3.4% 2024 bonds, bid/cover 2.8 vs. Prev. Greece made it’s triumphant return to the bond markets today after nosebleedingly high interest rates kept the country shut out for four years. However, tumbling government borrowing costs belies the fact that the Greek economy remains deeply troubled. According to new data from the Hellenic Statistical Authority, Greece’s unemployment was at a staggering 26.7% in January. This is up from 26.5% a year ago, but down from 27.2% in December. 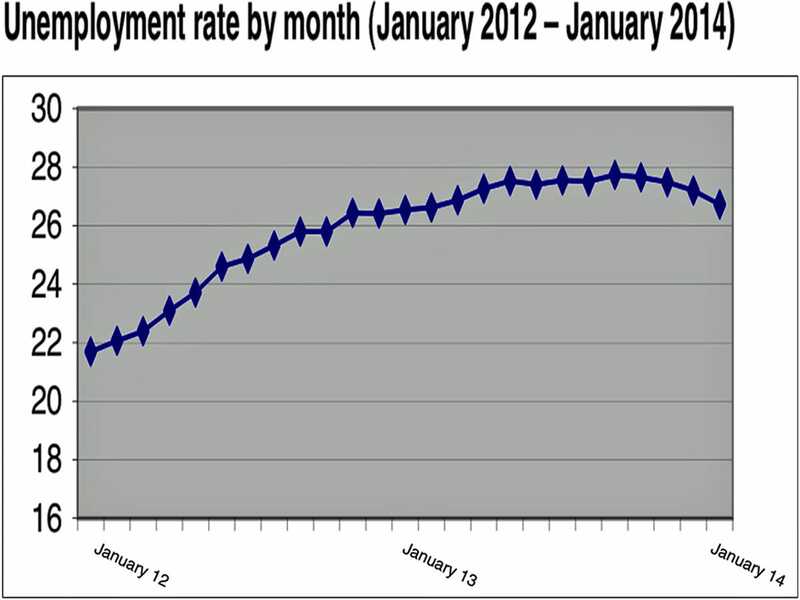 In January 2009, the unemployment rate was at 8.9%. The economic crisis has been particularly harsh for young workers. The unemployment rate among 15-24-year-olds and 25-34-year-olds were at 56.8% and 35.5%, respectively.